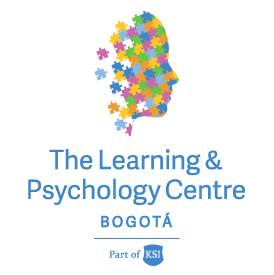 Once a child has been through an assessment at The Learning & Psychology Centre, the team work with the school and/or parent of the child to develop an intervention programme based on these findings. The LPC will develop a support plan that helps children strengthen their abilities, confidence and develop strategies to overcome their individual challenges with an overall goal of transitioning them back into school. This is the most popular intensive programme and the first to be offered in the country. The programme begins with a 21-day intensive course, comprised of two 45-minute sessions, for 21 consecutive days. Therapists focus on each specific therapeutic need determined in the student’s assessment. The 21- day Intensive Programme supports Whole-Brain Processing by enabling the two sides of the brain to work well together to synchronise functions on each side. Tailored for students who seek further support with learning and development before re-entering the school environment. These programmes are customised for each individual. Students are provided with one-on-one attention and their needs are carefully assessed. Specialists work with families to create a programme which give students the support and confidence to transition back into school. The programmes take place every morning from 9:00am - 12:00pm. The duration of the programme will vary and depends on the individuals needs as determined in their assessment. The LPC works with families and schools to develop a bespoke intervention programme that meets the needs of your child.